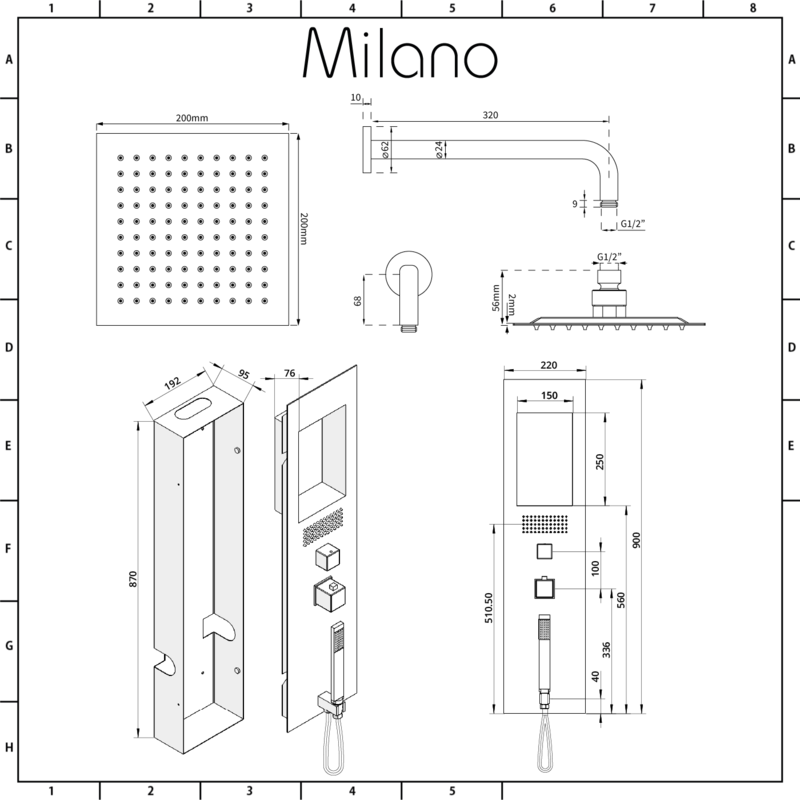 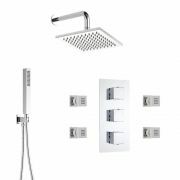 Bring a touch of designer style to your bathroom with the Milano concealed thermostatic shower panel and 200mm square shower head. 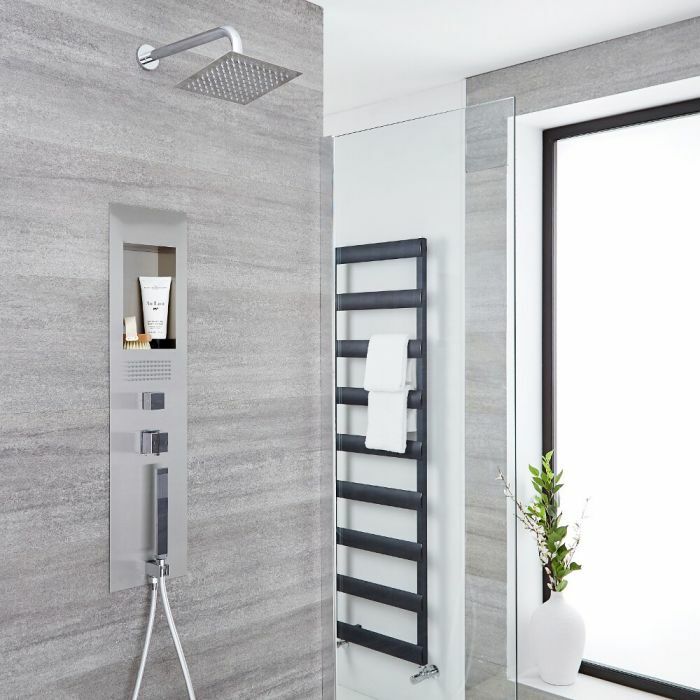 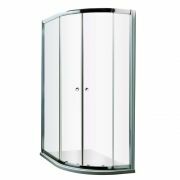 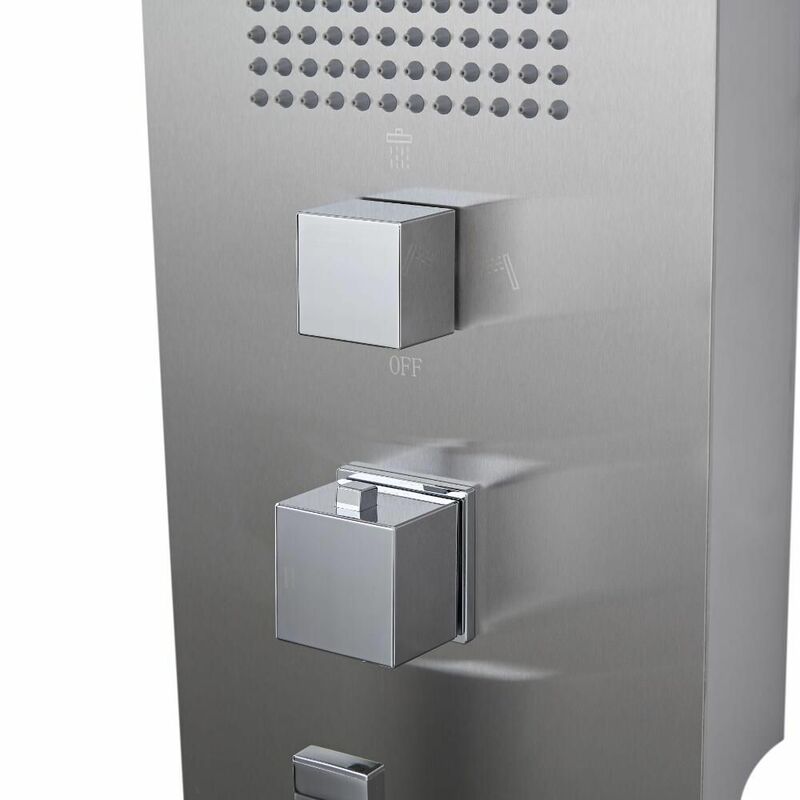 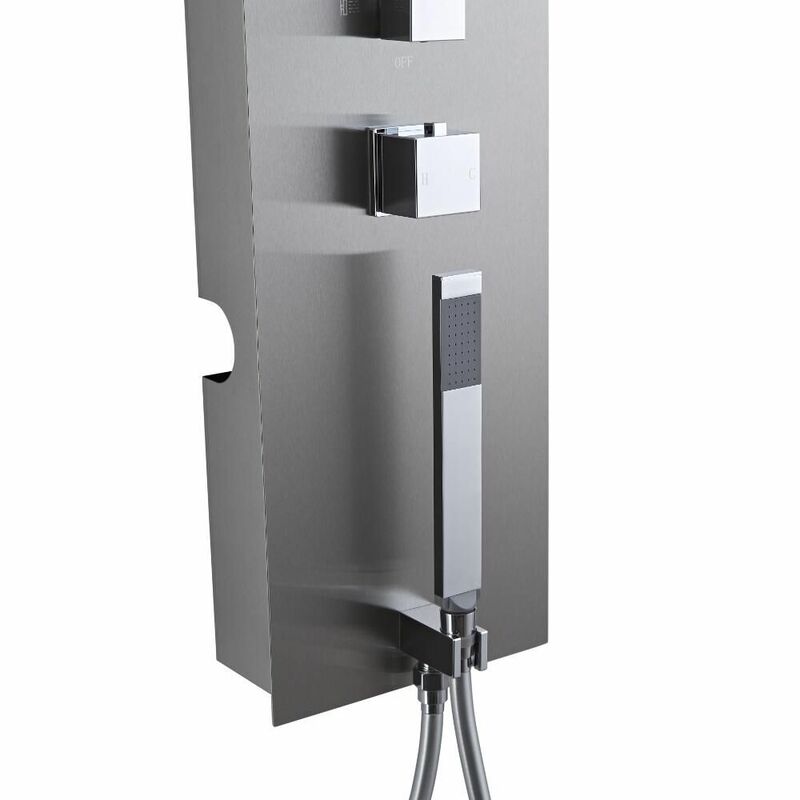 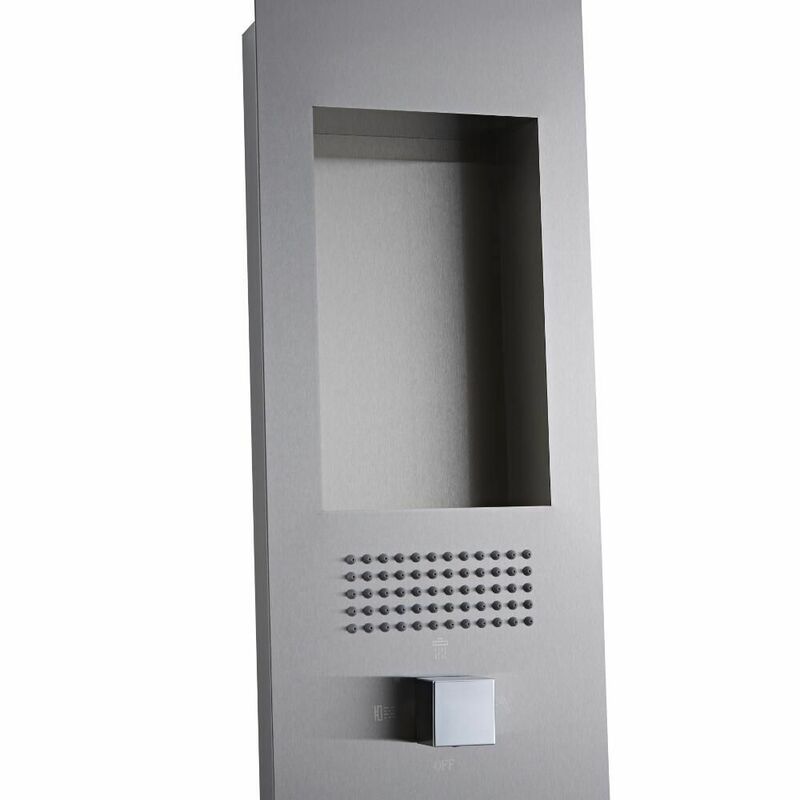 Made from stainless steel, the shower panel features an integrated storage space for your showering essentials. 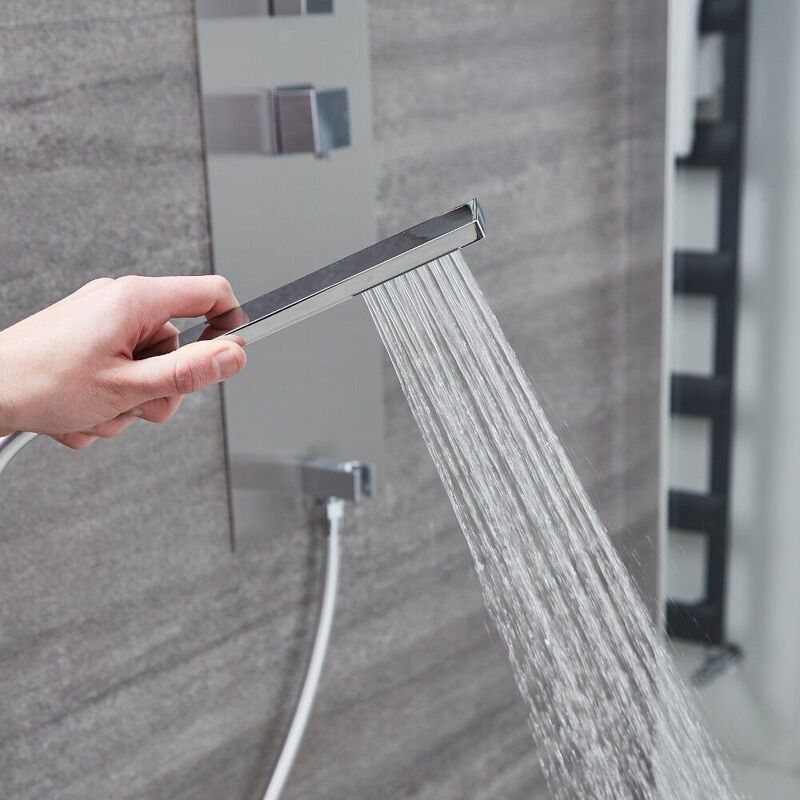 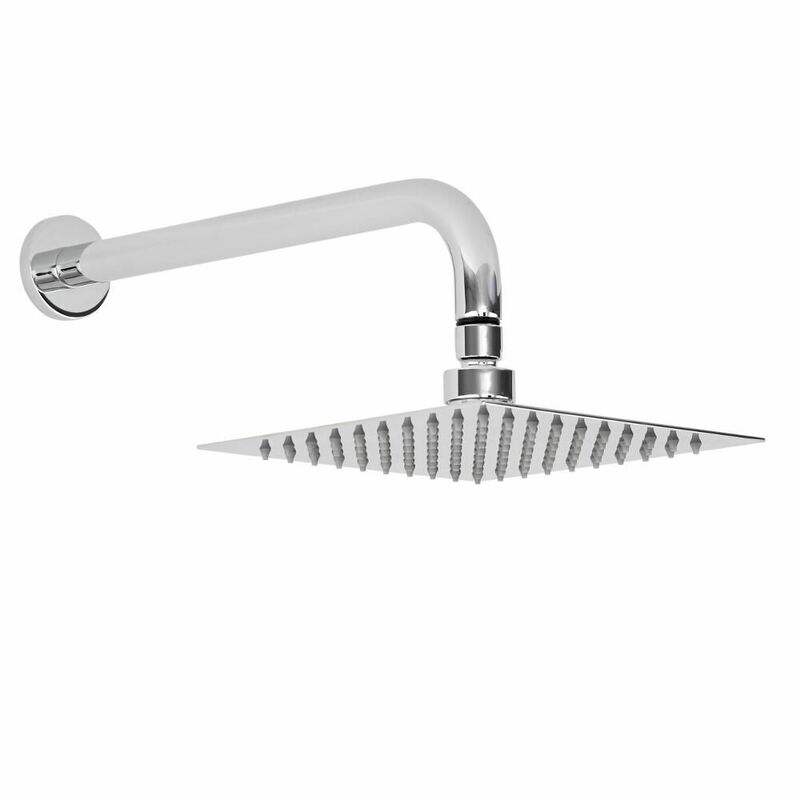 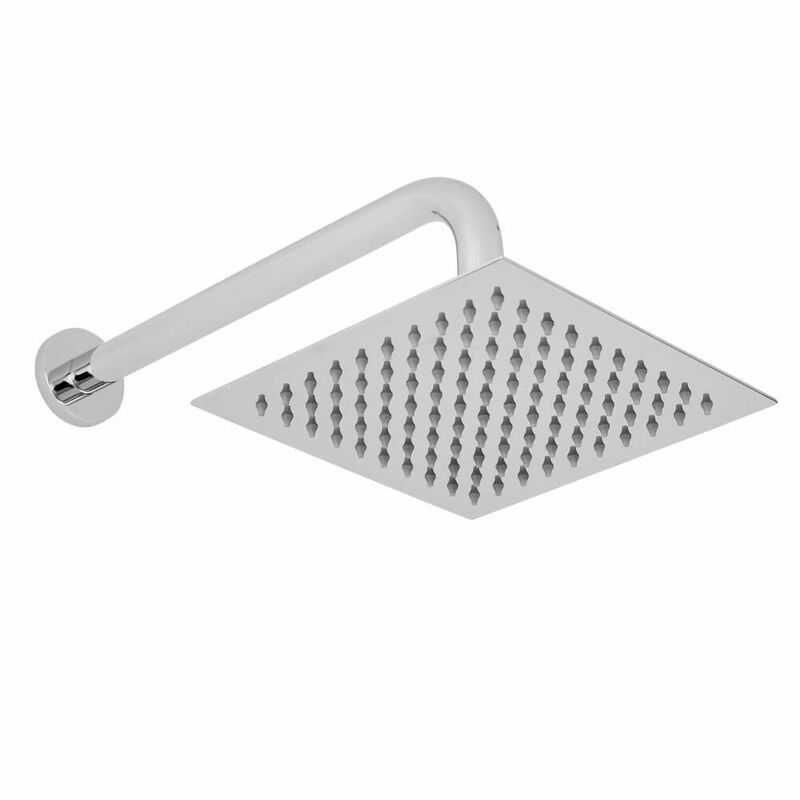 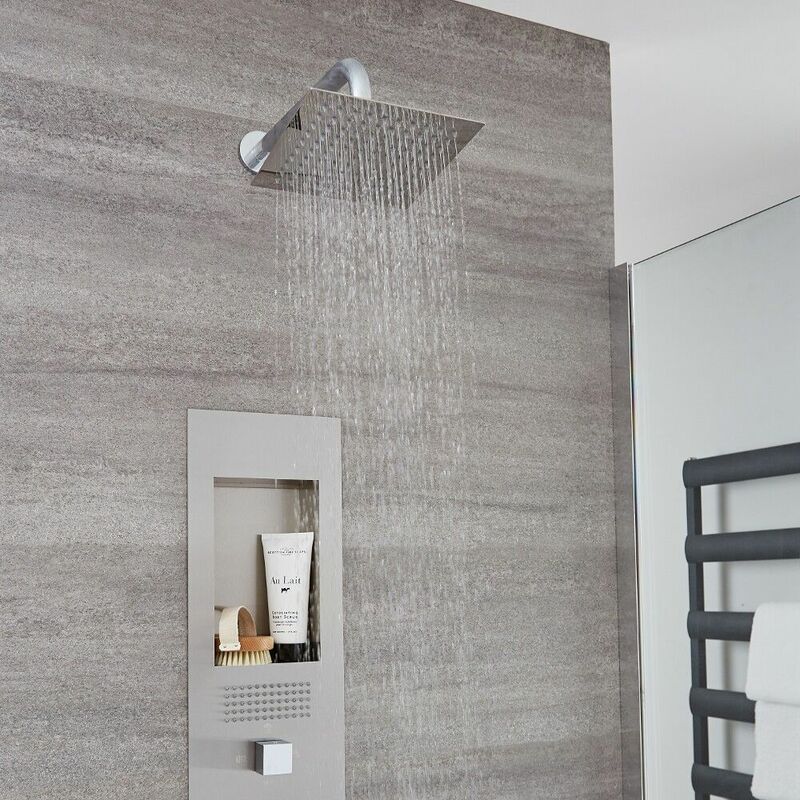 The square shower head delivers a refreshing rainfall effect. 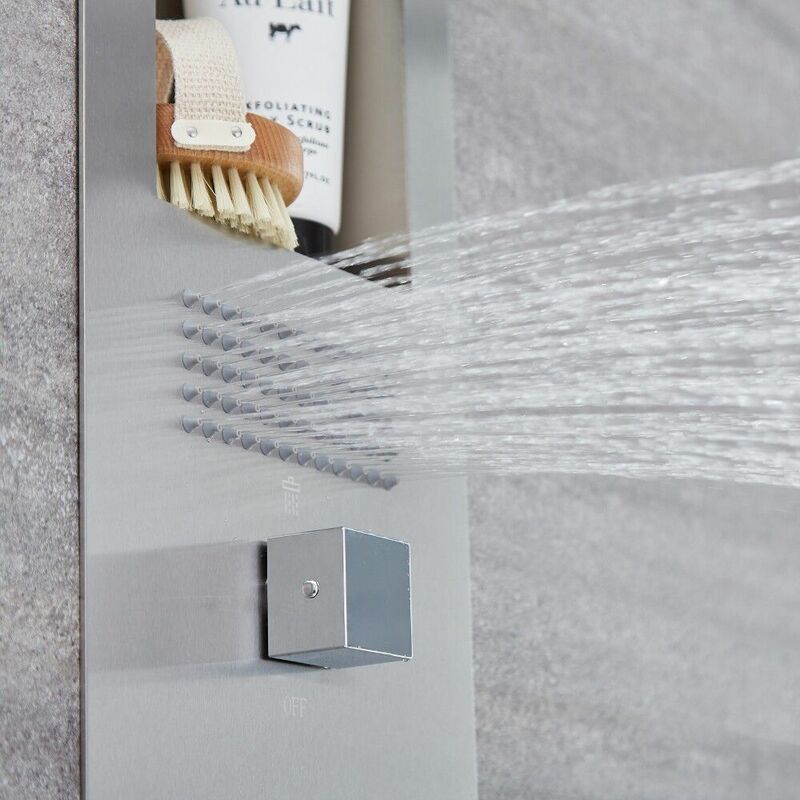 It includes the brass wall mounted arm.